Note: The regions were originally created on 28 Oct 1956 as "program regions" (régions de programme). On 2 Jun 1960 they were upgraded to "circles for regional action" (circonscriptions d'action régionale). A decree of 14 Mar 1964 created in each region a Regional Economic Development Commission (Commission de Développement Économique Régional), which by an act of 5 Jul 1972 (implementation of which was initiated 1 Oct 1973) became the Regional Council (Conseil Régional). At the same time the overseas départements were given regional status. The first presidents of the councils were elected between Dec 1973 and Feb 1974. The powers of the councils were significantly upgraded after their first direct elections which took place 16 Mar 1986 (in the overseas regions and Corse already 20 Feb 1983). A major territorial reorganization took place 1 Jan 2016, reducing the number of regions in metropolitan France from 22 to 13. Regional Council Flag c.1990s - 2003? 1 Jan 2016 Alsace, Champagne-Ardenne, and Lorraine regions merged. merger as Alsace (within Grand Est region) starting in 2021. 1 Jan 2016 Aquitaine, Limousin, and Poitou-Charentes regions merged. 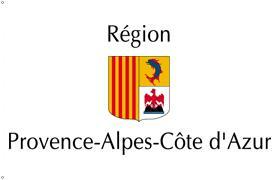 1 Jan 2016 Auvergne and Rhône-Alpes regions merged as Auvergne-Rhône-Alpes. 1 Jan 2016 Auvergne and Rhône-Alpes regions merged. 1 Jan 2016 Basse-Normandie and Haute-Normandie regions merged as Normandie. 1 Jan 2016 Bourgogne and Franche-Comté regions merged. 17 Jan 2015 Centre renamed Centre-Val de Loire. 7 Sep 1973 Champagne renamed Champagne-Ardenne. 535 BC - 237 BC Etruscan and Carthaginian rule. 237 BC - 469 AD Part of the Roman (Republic to 27 BC) Empire. 469 - 500 Part of Vandal kingdom. 500 - 534 Occupied by the Ostrogoths. 534 Part of the Eastern Roman (Byzantine) Empire. 559 - 562 Occupied by the Ostrogoths. c.725 - 774 Under Lombard rule. c.930 - 965 Under Lombard rule. 965 Part of Holy Roman Empire. 1077 - 1098 Papal rule, with the Bishops of Pisa as Papal Legates. 1098 - 1284 Under rule of Pisa. Genoa opposes Aragón to 1347. 1347 - 1394 Pisa claims Corsica. 1401 - 1409 Occupied by France. 1464 - 1479 Under suzerainty of Duchy of Milan. 23 Aug 1553 - 3 Apr 1559 Occupied by France. Uffizio di San Giorgio (see Genoa). 12 Jun 1564 - 1 Apr 1569 Insurrection under a leader styled generale. 1637 The heads of state of Genoa assume the style of king of Corsica. 22 Dec 1730 Insurrections begin, under leaders styled generale. 30 Jan 1735 Independence of the Kingdom of Corsica proclaimed. 8 Feb 1738 - Nov 1741 Partial French occupation. 7 Jun 1746 Independence proclaimed, not recognized by Genoa. May 1748 - 4 Apr 1753 Partial French occupation. 1751 Uffizio di San Giorgio resumes control. 30 Jan 1753 Independence proclaimed (Corsican Nation). 17 Jul 1755 Independence declared by Paoli. 1768 Généralité of Island of Corsica (île de Corse) established. 13 Jun 1769 Corsican Nation extinguished. 30 Nov 1789 Corsica formally incorporated into France. 26 Feb 1790 Corse département established. 15 Jun 1794 Corsican Nation re-established under British control. 19 Jun 1794 Kingdom of Corsica under the British king. 15 Oct 1796 Definitive incorporation into France. 19 Apr 1811 Golo and Liamone départements reunited as Corse. 27 Apr 1814 - 18 Jun 1814 British occupation. 11 Jul 1940 - 14 Sep 1943 Administered by "Vichy" France. 12 Nov 1942 - 9 Sep 1943 Italian occupation. 9 Sep 1943 - 3 Oct 1943 German occupation. 4 Oct 1943 - 20 Aug 1944 Administered by the Free French. causes the resignation of the government of France. 2 Jun 1960 Part of Provence-Côte d'Azur-Corse Region. 9 Jan 1970 Corse Region established, detached from Provence-Côte d'Azur. 1 Jan 1976 Corse département divided into Corse-du-Sud and Haute-Corse. 2 Mar 1982 Special status region with a directly elected Regional Assembly. 6 Jul 2003 Referendum rejects creating a collectivité territoriale unique. departmental council authority (Collectivité de Corse). 968 - 1000 Arrigo Colonna "Bel Messere"
30 Sep 2016 Renamed Grand Est. 30 Sep 2016 Renamed Hauts-de-France. 6 May 1976 Île-de-France Region established. 7 Sep 1973 Languedoc renamed Languedoc-Roussillon. 1 Jan 2016 Languedoc-Roussillon and Midi-Pyrénées regions merged. 1 Jan 2016                Aquitaine, Limousin, and Poitou-Charentes regions merged. 1973 Nord renamed Nord-Pas de Calais. 1 Jan 2016 Nord-Pas-de-Calais and Picardie regions merged. 30 Sep 2016 Renamed Nouvelle-Aquitaine. 30 Sep 2016 Renamed Occitanie. 9 Jan 1970 Provence-Côte d'Azur-Corse renamed Provence-Côte d'Azur. 2 Aug 1976 Renamed Provence-Alpes-Côte d'Azur.